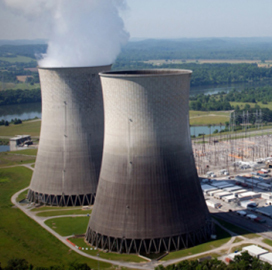 Thirty-five out of 53 states participating in a summit in the Netherlands have reached an agreement to secure their nuclear materials in a move to create international nuclear standards, Global Security Newswire reported Tuesday. Sebastian Sprenger writes the U.S., Netherlands and South Korea jointly unveiled the project and led the signing of the binding declaration. Russia, China, India and Pakistan refused to support the nuclear security framework, according to the report. Signing nations have committed to fulfill the International Atomic Energy Agency’s nuclear security requirements and implement recommendations based on peer reviews, the report says. Sprenger writes participating nations also vowed to bolster the cyber infrastructures of their nuclear facilities and contribute to the IAEA’s Nuclear Security Fund. State leaders who attended the summit also committed to help reduce plutonium stocks, a potential nuclear weapon component.